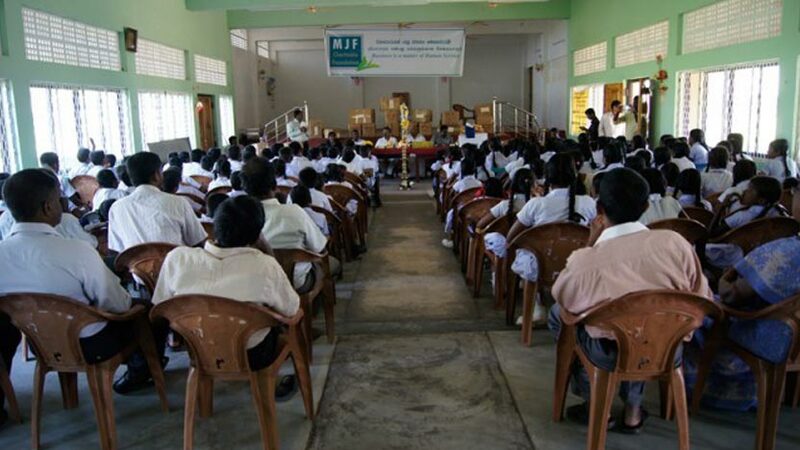 Over 4,500 school children from 28 schools in the Batticaloa West Education zone in Vavunativu DS Division received a set of school uniforms from the MJF Charitable Foundation at the Munaikadu Tamil MV school. This was in response to a needs request expressed by the Zone Education Director Mr. Sivanesan in March this year. 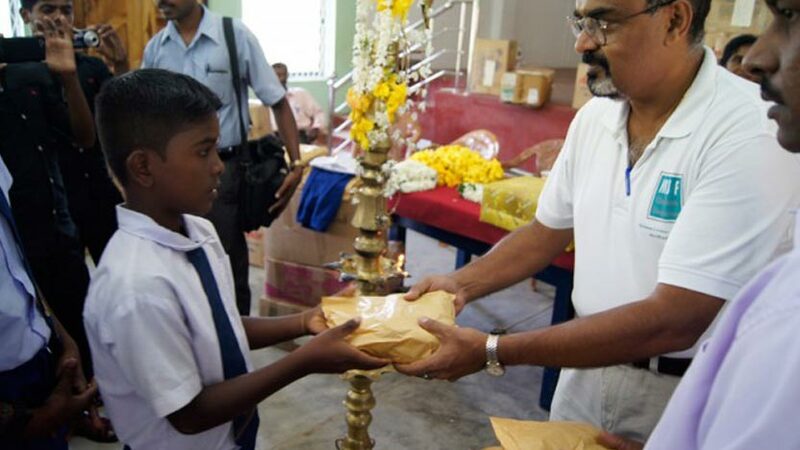 Although the Government of Sri Lanka annually provides clothing material for a set of school uniforms for all school children, parents of students from rural areas cannot afford to have it stitched owing to financial constraints. Most parents from these areas do not engage in permanent or lucrative livelihoods and get by on seasonal earnings as daily wage earners from unskilled labour and farming. School authorities such as school principals and teachers report that school children, especially girls, have poor school attendance records partly due to their want of school uniforms. The school children from the 28 schools in Vavunativu who were gifted tailored school uniforms for the new school term next year have also experienced a bitter past in addition to poverty. “The prolonged war was very severe in these areas of the Eastern Province. Schools also lack basic classroom and sanitary facilities. Almost all children are from poor families, whose parents cannot afford the additional burden of getting new school uniforms made,” said Mr. Sivanesan, Director of Education for the Zone. The event was also attended by Presidential Advisor / Co-ordinator for the East – Mr. Arun Thambimuttu and the principals, teachers and students of the schools. MJF Charitable Foundation has previously distributed school uniforms to over 6,000 school children in 45 schools from Thoppigala, Welikanda and Kokkaticholai since 2013.